The holiday base is Bordighera, on the coast 18 miles to the east of Monte Carlo. The British have enjoyed strolling in and around Bordighera since the 19th century – so much so it was an enclave where the local Italians were a minority. Today, Bordighera is an extremely pleasant resort whose climate and scenery can be enjoyed in much the same as visitors of yesteryear. It was also a favourite resort of Claude Monet who stayed ten weeks here and painted thirty five landscapes in Bordighera and the neighbouring hills. There are three guided walks including one from Menton to Monte Carlo. 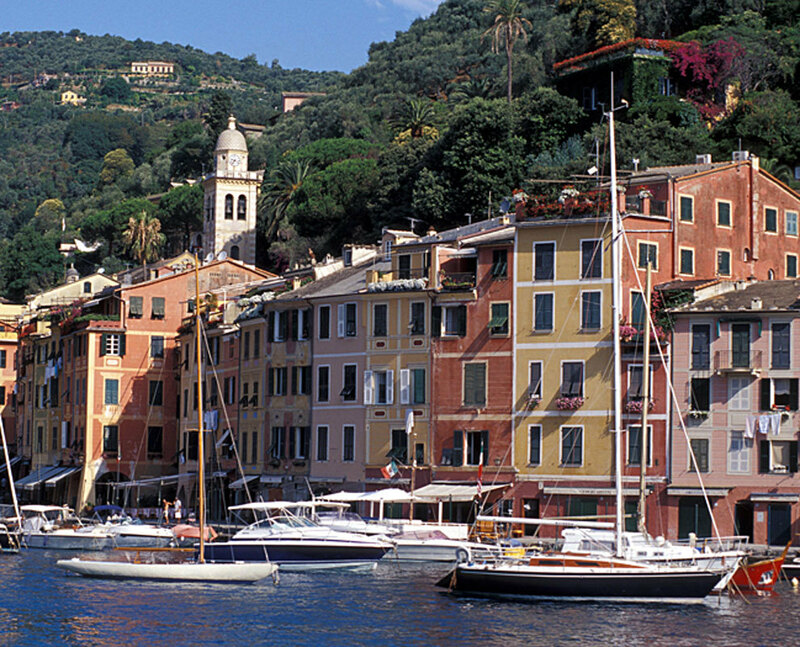 Flight to Nice and transfer to your hotel (45-minutes) hotel in Bordighera for seven nights half board accommodation. In Bordighera with three included walks. On Day 2 there is a late morning walking tour pointing out the highlights of the town including Villa Regina Margherita. Walk 1: Bordighera to Sasso & the Princedom of Seborga. For this walk you start at the hotel on the seafront in Bordighera, passing through the old town, before following on old watercourse through a valley of palm trees to the pretty hamlet of Sasso. You then take the old road to the village of Seborga, a historical curiosity; it is claimed that following its omission from a series of treaties, it is not officially part of Italy! 9 miles there and back, with ascent/descent of 500m. If you wish to walk a shorter distance, you can catch the local bus back from Seborga to Bordighera. Walk 2: Taggia to the artists’ village of Bussana Vecchia. Coach transfer to Taggia, which claims to be home to Italy’s longest medieval bridge. You walk through the old town, and then climb through smart villas, olive trees and greenhouses, following the old road and country paths as far as Old Bussana – one of those ‘must-see’ places. What was a completely empty village following the 1887 earthquake has become home to a Bohemian artist community which took root in the 1960’s not without controversy. 5 miles, 250m ascent. Walk 3: Monte Carlo or Bust! You travel by coach to Menton, where you walk up to Roquebrune village, before descending towards Monte Carlo. Roquebrune, on Mont Gros, is a favourite place for hang-gliders and has fine views of Monte Carlo. Time permitting you will have time to explore a little of the Principality before you re-join the coach to return to Bordighera, just 18 miles away. In your free time there are several walking opportunities in the town itself. One takes you to the scenes of several of Monet’s paintings. Another is a one mile walk along the Lungomare Argentina – the colourful flower-filled promenade along the beach and the longest pedestrian promenade on the Riviera. It was inaugurated by Eva Perón whose husband had visited Bordighera in 1947. On Thursday there is a market on the seafront near the hotel. Your hotel is handily situated for the station, with services to Ventimiglia, and to San Remo and beyond. There are also local bus services. There will also be an optional excursion to the Nervia Valley. You drive through Camporosso, a pretty village, and stop in medieval Dolceaqua, dominated by the Dorias’ Castle. The bridge, over the Nervia river, was painted by Monet in 1884. You will visit the ‘Visionarium’ – it will surprise you, we promise! You continue up the valley to Pigna, a pretty mountain village. Free time until you depart for the airport. Dependent on traffic conditions and flight timings, there may be time for some last minute shopping in Nice en route.